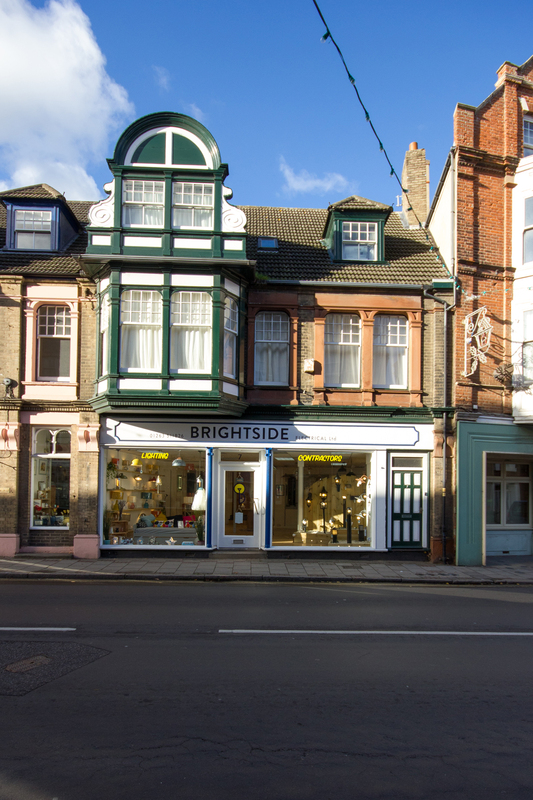 Brightside Electrical Ltd is an electrical contractor based in Cromer, North Norfolk. Building on the wealth of knowledge and expertise gained from over 50 years in business our team will provide a high quality and reliable service to all our customers. Our experienced and knowledgeable workforce will strive to achieve the most cost-effective and best service in the area. We provide a variety of commercial and residential services alongside the range of products offered in our retail space in the heart of Cromer. Any type of installation from an additional socket to completely new circuits, including new showers, new cookers, and additions to original circuits. Anything electrical in your home that you deem to be unsafe or incorrect, give us a call and we will check/repair anything in order to give you peace of mind. Annual examination of electrical appliances, checking functionality and condition to ensure safe usage. Having issues with your electrics not staying on? Give us a call so we can locate and repair the fault. Having a lighting showroom as well as being electrical contractors, we have a good knowledge of how to maximise the benefit and usage of lighting in your home. Upgrading original Consumer units to meet the latest electrical regulations and giving you the safest means of protection. Regular visual checks and testing of your electrics including reports for home buyers and landlords.